Tucked away in a gourmet neighborhood in central Fukuoka is a restaurant dedicated to the true art of Edomae sushi. Set in breathtaking Japanese architecture, Sushi Sakai stages Kyushu’s seasonal treasures that are perfected using traditional techniques and paired with the chef’s favorite sake. Here, sushi is not just about the fish alone, but an experience to be indulged with all your senses. A trip to Sushi Sakai is a travel back in time. The moment you walk into the restaurant, you enter the peaceful world of old Japan, leaving behind any ties with modern life. Designed by the country’s top sukiya-zukuri architect Maeda Shinji, the space features wonderful details, where everything from the soft-lit lanterns to the bamboo shades follow the beautiful traditional aesthetic. At the entrance, you are greeted with warm smiles and are asked to remove your shoes as if you are entering someone’s home. The sound of water trickling into the black stone fountain brings serenity to the air. The walls are mounted with shoji paper shades, creating ways for light and air to flow. 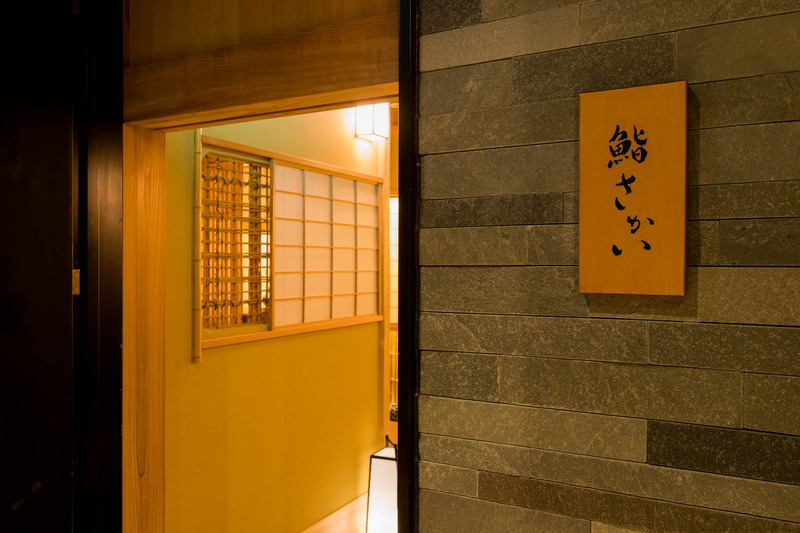 The main room feels warm and inviting, where Chef Daigo Sakai welcomes the guests from behind the grand hinoki counter. On the wall hangs a wooden carving with his favorite proverb: “Master the way through hard work.” Right here, he will present fruits of his own hard work. Sushi Sakai follows the classic Edomae sushi style, which offers a mix of nigiris and tsumami small dishes. 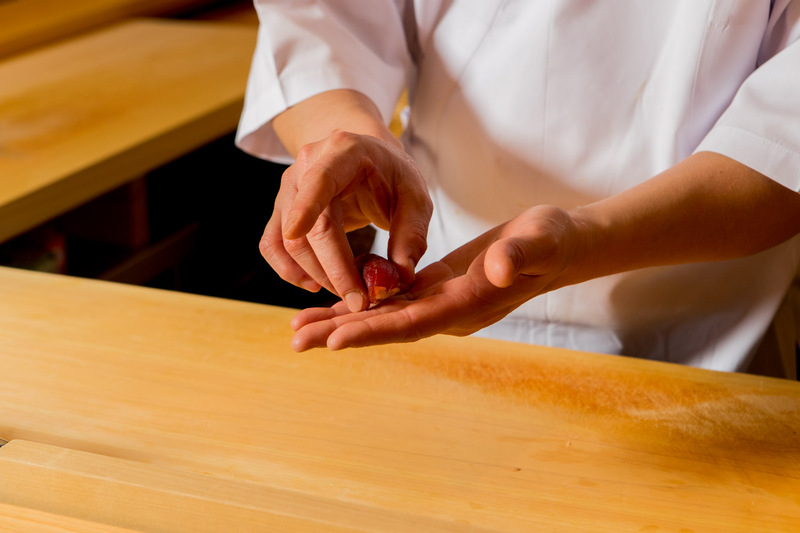 He believes that the two can’t exist without one another, as the small dishes set the tone for the nigiris that follow. Together, they create the ultimate and complete sushi experience. 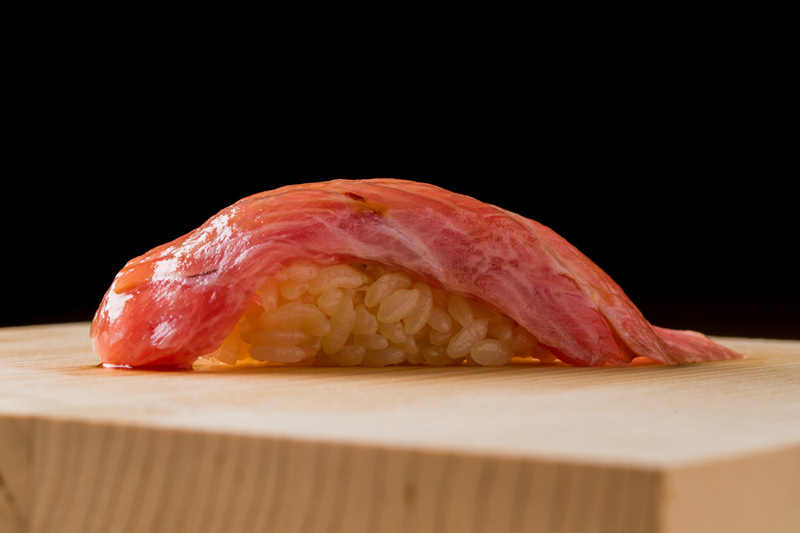 At the heart of Sakai’s nigiri is the rice. His rice is firm, using a delicate blend of mature rice and flavored with two types of red vinegar. The grains gently fall apart in your mouth, with each bite changing the way the sushi tastes and feels. 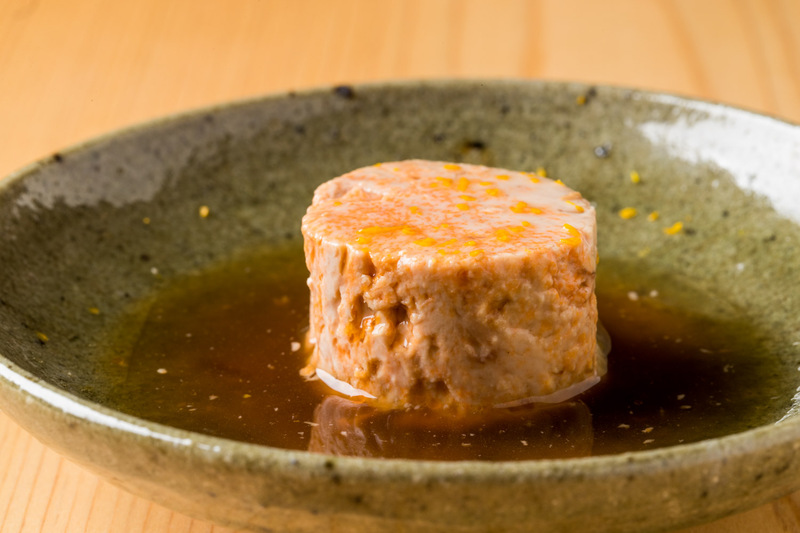 Among his favorite appetizers is a generous piece of monkfish liver, bathed in dashi broth. So creamy, rich and full of flavor. Another are the octopus slices, tender and juicy, with the sweetness of the sea pouring out with every bite. 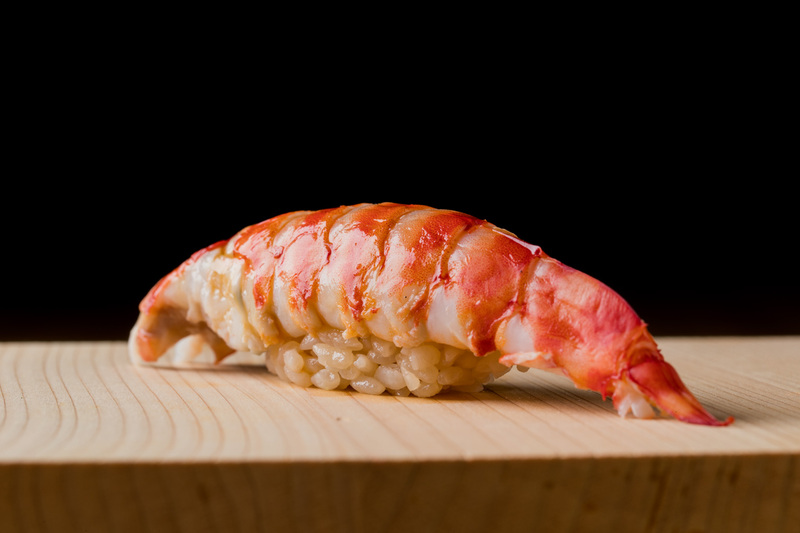 The nigiris feature the best catches from the local Kyushu seas. A slice of young sea bream, with a long slit down the middle, drapes over the red rice like a silky blanket. 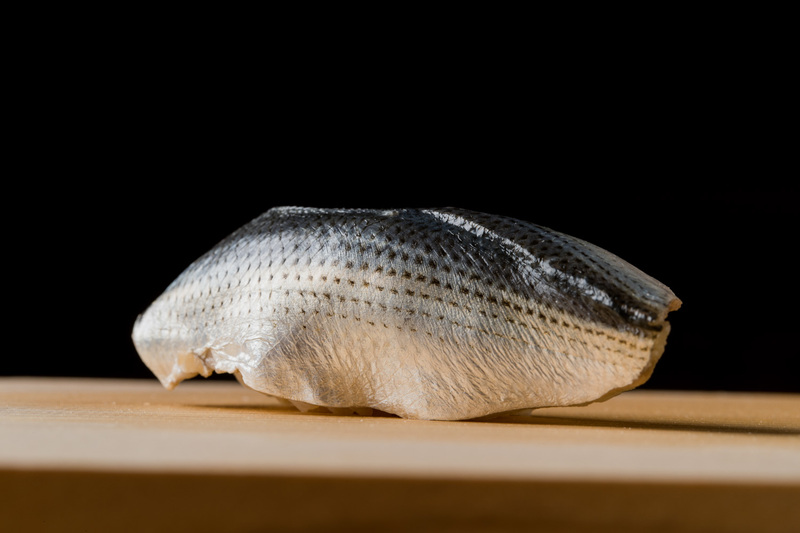 The gizzard shad, a classic Edomae sushi fish with a beautiful blue shine, is aromatic and bold in flavor. 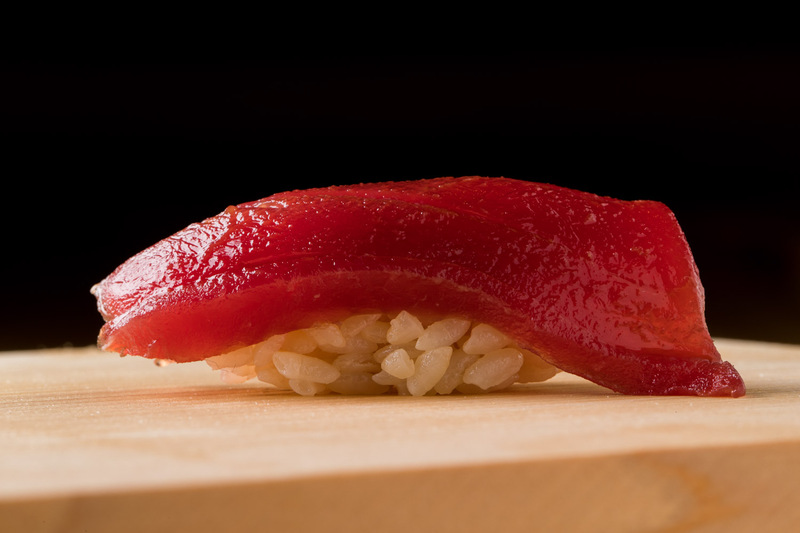 A thick layer of fatty otoro tuna from off the coast of Nagasaki brings out such sweetness as it melts on your tongue. The marinated tuna has a lighter and cleaner finish. The stunning long tail of shrimp is plump yet soft. 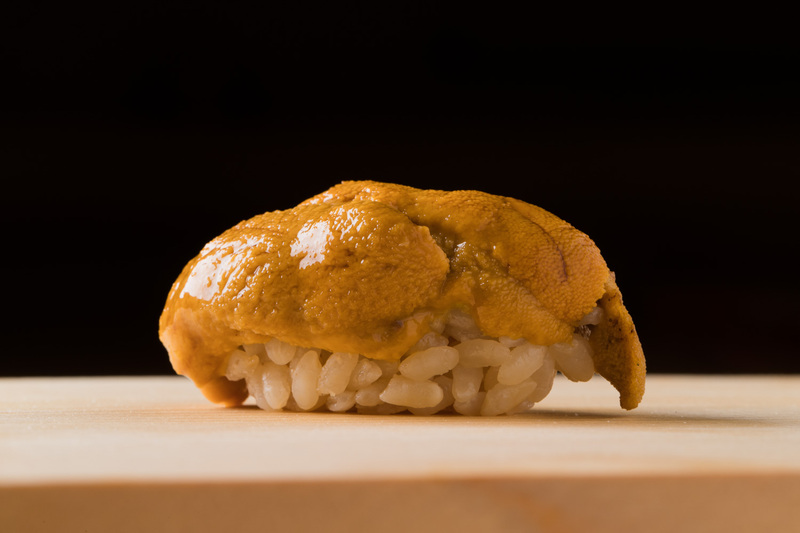 The sea urchin from Hakodate looks as it’s almost dripping off the rice, and is served without seaweed to enjoy its pure and potent flavor. Sakai sources most of his fish from the local seas around Kyushu. With his father in law is in the fish wholesale business and thanks to his own relationships from when he used to work at a fishmonger, he is lucky to have access to special distribution routes. He even gets to buy before the fish goes on the auction sometimes. Yanagibashi Central Market is another good route for him. As the youngest of three children, Sakai was born into a family that ran a Japanese tea shop. Growing up with Iron Chef and foodie mangas, he yearned to become a chef from a young age. He loved cooking for his family, and seeing their happy faces. He also worked hard at the game of baseball. As the captain of his high school team, he led them to compete in the national championships. It was through these experiences that he built up his mental strength that helped him through the tough years that followed. After graduating from high school, he gave college a try but quit after 3 months. Unable to give up his dream of becoming a chef, he began working at local restaurants. The big turning point came when he moved to Tokyo to train at the famous sushi restaurant, Umi. There, he met his lifelong mentor, from whom he learned everything from, not just sushi but much about life. 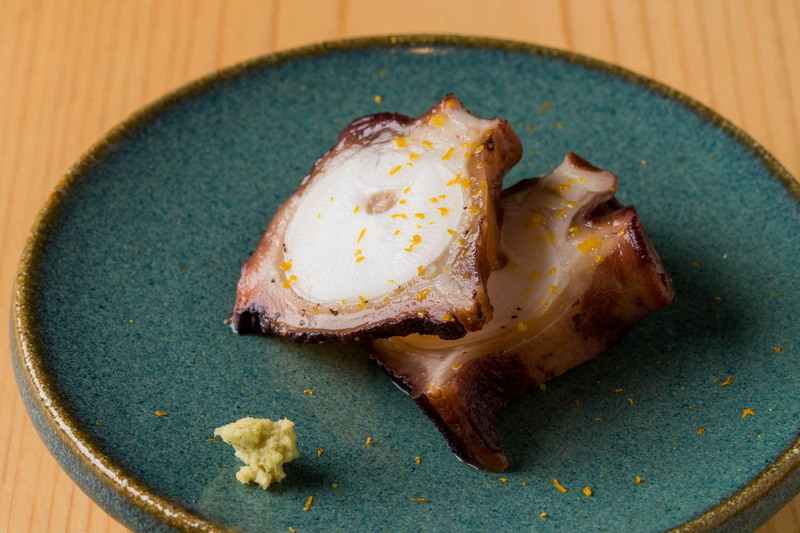 Sakai returned to Fukuoka at age 29 with a dream to open his own restaurant. He spent the next 18 months working at a fishmonger to understand everything there was to know about the supply chain from selection, pricing, distribution. On top of that, he worked as a truck driver to earn extra money. His days were long, hard and exhausting but he was determined to realize his dream. Finally at 34, he was ready to open his restaurant. He found a small place and the word about his delicious sushi spread quickly. As business grew, Sakai’s ambition also grew. 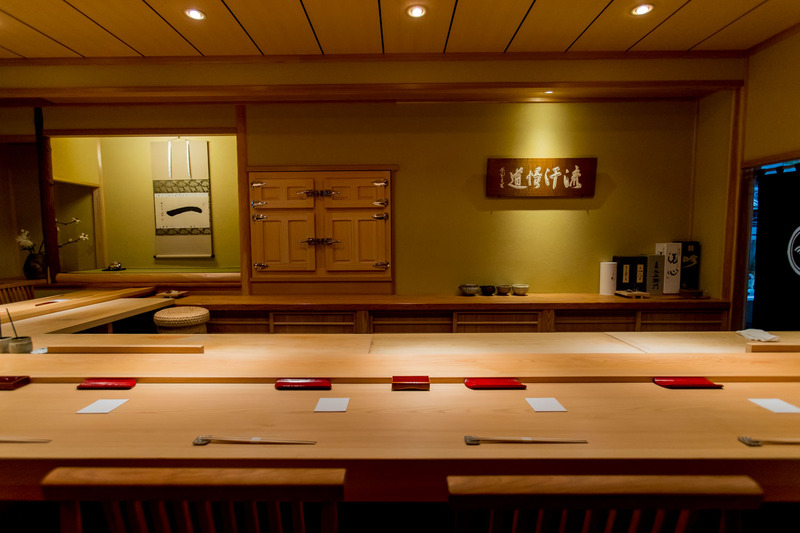 He felt that his restaurant should be a place for the guests enjoy sushi as an experience, not just as food. He not only had to invest on the interior, but he also wanted more room to train his apprentices. In the new property, which is the restaurant’s current location, he worked closely with the architect on every aspect of the design to recreate the world of old Japan. He also added an extra private room where his staff could build up their experience in standing in front of guests. 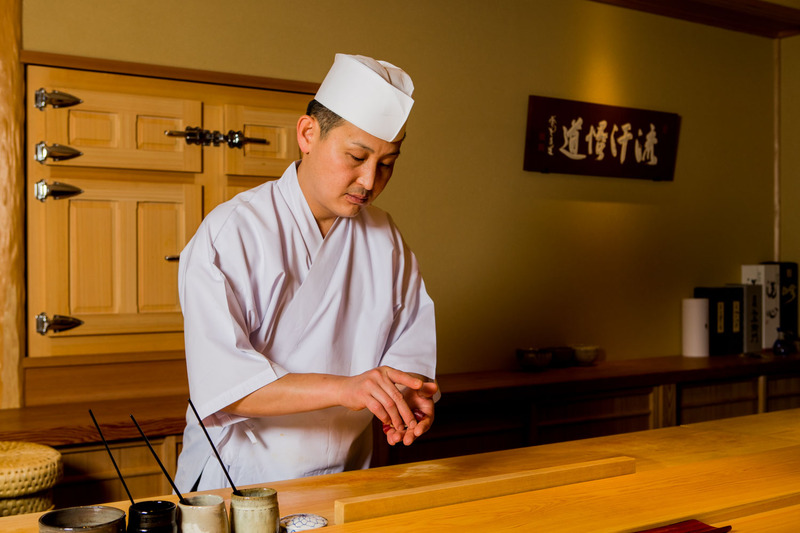 At the top of Sakai’s mind is his staff, especially the younger chefs who will carry on the tradition of sushi to the next generation. He has always hoped his restaurant would be a place where young people can learn and grow, and would choose to stay for a long time. He believes in teamwork, where he and his staff together provide the best of what they could offer and share the same sense of accomplishment. 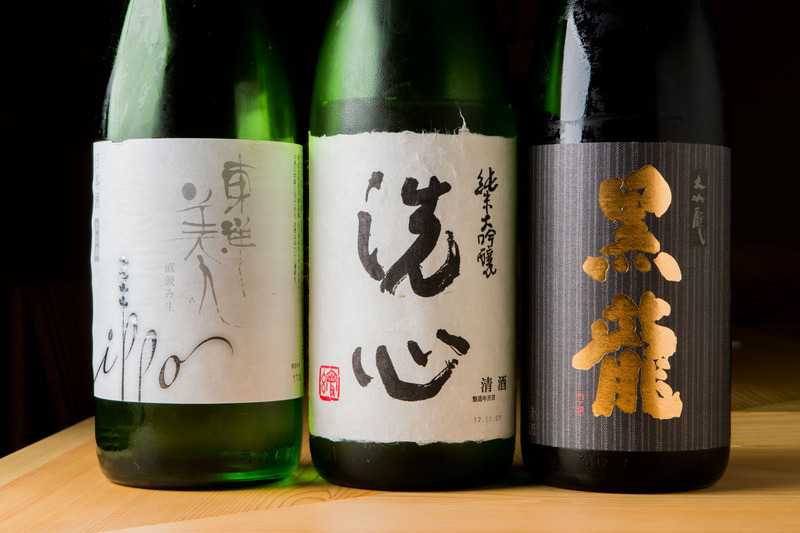 Sakai loves and collects top quality sake. The restaurant carries at least 25 brands at all times, including those that are hard to get your hands on. 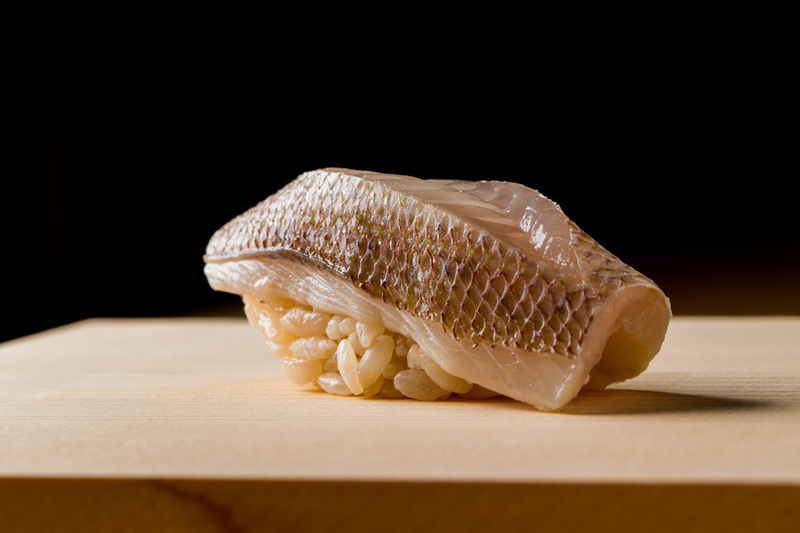 He limits his selection to junmai (pure rice) with a solid body that match the flavor of the fish. 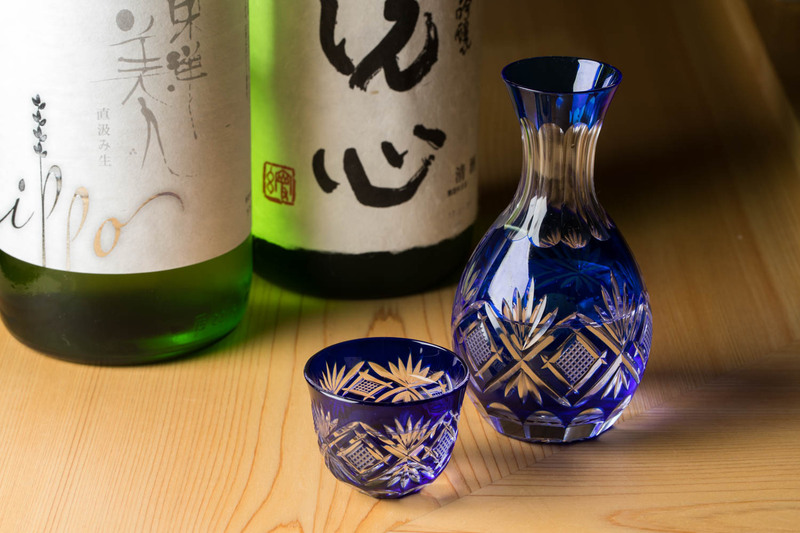 Enjoy the chef’s recommendations, all carefully paired with each dish, in his stunning collection of Edo kiriko glasses.